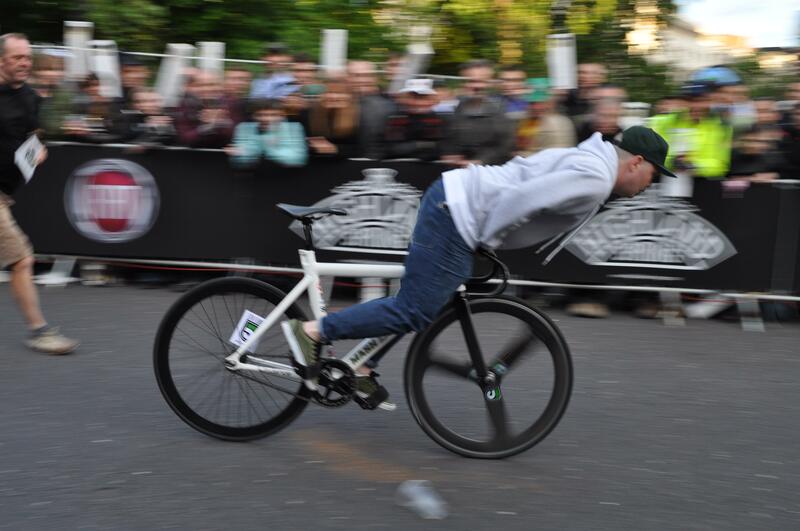 I've recently been looking at Google trends and just randomly typed 'fixie' into the search. It's actually quite interesting to see the data on this, you can see exactly when people become more interested (as the weather turns) and then it drops as the weather declines. It seems to be the peak interested in all of these was August 2012. Quite interesting! I wonder how long it'll be until the revival of the 'fixie' happens, and it's coming from fresh perspective or nostalgia? I understand that most things have their sell-by date, but why did 'fixie' bikes get dropped so quickly? Was it just the pure hipster phase that came and went, or was it something more? People cba to pedal all the time. August 2012 was post London Olympics, so maybe also a big boost from the success in the velodrome (i.e. 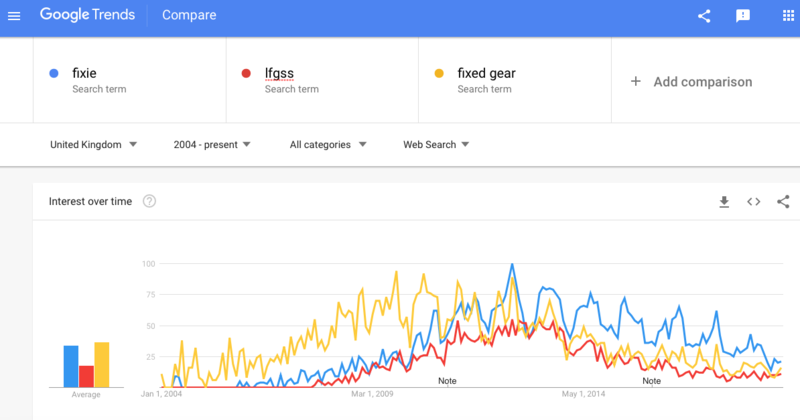 searches may reflect people watching the sport as well as people interested in riding themselves - no similar boost in 2016 though, although maybe people knew what a track bike was by then?). Great name for a podcast. Once Johnny Fitz won the longest skid competition the scene peaked and had nowhere to go. It was our Icarus moment and we flew too close to the sun. In short, I blame Johnny Fitz. Everyone's got a sweet fixie now, they don't need to google them anymore.